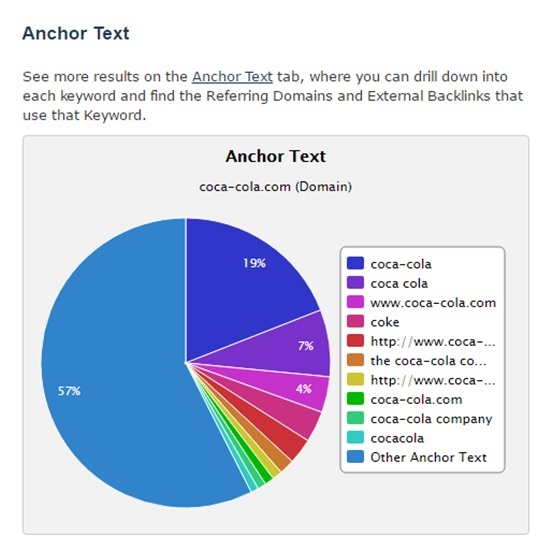 How Does Mining, Managing & Adapting Anchor Text Ratios Improve SEO? Within the world of SEO there are seemingly endless elements and tweaks that can be made, not only to link building, but across the board, to move a website up the SERPs. In some cases, these are grouped into large boxes – on page, off page, technical etc. The reality is SEO should be much more granular than these large domes of approach. For example off page should be broken down into link building, content marketing, brand presence, social media, paid content and any other applicable approaches – such as affiliates or business listings. POLARIS is a leading SEO agency based in London. Specialising in the Healthcare, Travel and B2B sectors, POLARIS offer a wealth of knowledge to SEO and Digital Marketing experts and below is some of their recommendations for mining, managing and adapting Anchor Text Ratios. Within off page SEO, under link building there are a huge number of metrics which need to be considered, one of these is anchor text. Brand, untargeted and exact/partial matched anchor texts broadly cover the basics, but these can also be broken down into combinations of all through – such as brand and exact. What’s more, exact and partial will also split into broad matched and long tail anchor texts as well. So, how can a website owner control anchor text ratio? And how can anchor text be used to improve both short and long term ranking? 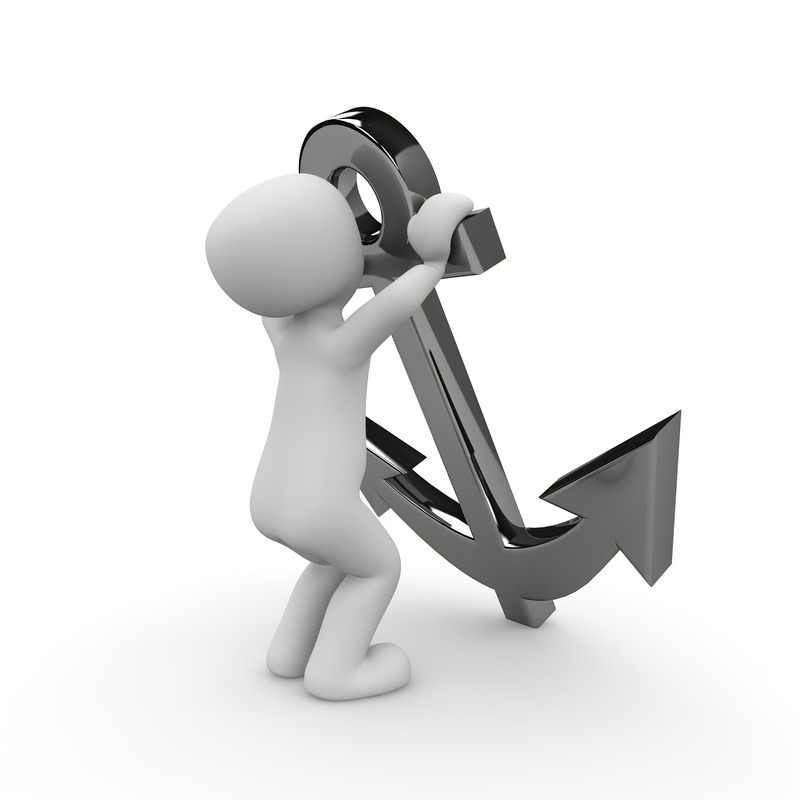 Understanding Anchor Text Ratio – What are the strengths/weaknesses? Mining the data of anchor texts is core to understanding the pitfalls, strengths and areas for improvement. Whether an audit is being carried out at a root domain or URL level, the process is the same. Simply carry out a search through the Majestic Fresh index and scroll down for an overall summary in terms of percentages, this will give an immediate idea of current anchor text rates; head over to the Anchor Text tab at the top of the page for a full breakdown to carry out a full mining of data. Again, the words and phrases anchor text clouds will provide a top level insight. Downloading full anchor texts, with links, is where the real work can begin. Once the document is open it’s essential to be able to group anchor texts by keywords, so filtering either alphabetically or by actual keyword will help. The summary page of Majestic will provide immediate insight to how many links are branded, so this removes the need to fully audit here at this stage – filter these and move all the data to a ‘Brand’ worksheet. Untargeted approaches can also be quickly managed by searches for ‘Click here’, ‘Visit website’ etc. and again moved to a new worksheet. The remaining links in the work sheet can then be audited for the type of exact and partial anchor texts you feel are relevant to a website. Filter these into two worksheets – those considered valuable, and those not. For example, the term HR software is valuable to a company selling a solution, but the anchor text recruitment portal might not be, as the service offered does not match. This creates a problem for ranking as the website is being linked to for something which it does not offer, suggesting to Google a lower quality of content. By the end of the audit there should be four tabs of links – brand, untargeted, exact/partial to keep and exact/partial to remove. If working at a root domain level then create a fifth tab with different groups of exact/partial anchor texts to highlight where weaknesses and strengths can be found. The research and breaking down the anchor text really is the biggest part of this job. Doing this correctly, using the tools on disposal, means preparing to adapt an anchor text profile is simple. For a start there will already be a list of weak anchor texts and these are links which already exist. So a schedule to have these changed, through contact with the relevant websites, can easily be put in place. If for example the anchor texts are missing an element of brand or untargeted texts, but have a range of exact/partial then attempt to have them changed to increase ratio here as well. All-in-all the research within a link profile will dictate your next move. Not enough brand will lead to an increase here, too much brand will lead to a decrease. Build pie charts of each anchor text group as you move through your auditing process as it gives an immediate visual representation of what needs to change. 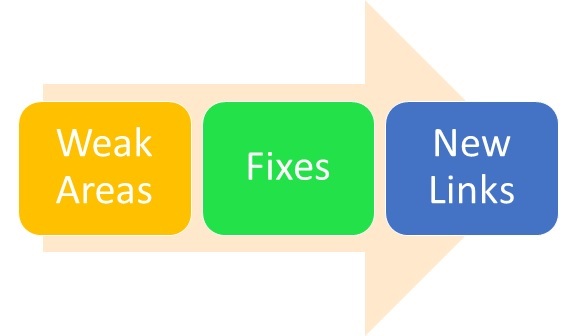 Once a link profile is audited and in the process of being amended, the next stage is to build an effective link strategy with consideration for anchor texts. Keeping in line with ratios, targets should be set for how to build each type of link and the type of content or approach needed. Of course, not every anchor will be able to be controlled, but providing content with links already included, or assets which link back for an untargeted link is an excellent start to this. Keyword targets will play a part in this as well and shape content. The best approach is to create three-month link cycles involving planning, creation and auditing. The three-month cycle allows for engaged parties to be aware of all elements at all times and deal with any potential issues quickly, without the prospect of carrying out lengthy and tiresome audits on a semi regular basis. Link profiles will continue to be one of the most important factors in site ranking, ensuring health from not only the quality of linking sites but complete make-up of the links, is hugely important. an Account Manager at POLARIS. Joining the agency in 2014, Keith specialises in SEO and campaign strategy. Keith works across many of POLARIS’s key accounts, ensuring clients gain continual growth. Keith enjoys celebrating client success and meeting with clients and is an avid user of Majestic. We hope his insights are useful to you. anchor text just seems too obvious nowadays huh? I actually don’t know the anchor. but thanks! Thank you Grosirgirl, we appreciate your feedback. I’m sure the problem is mine, but that was the most opaque set of rambling jargon I’ve read in a long time. I wanted to learn what is anchor text and why do I need to to know. I have an affiliate site in development so I am a NooB (obviously). But if this article is supposed to be understood by anyone lower than jedi level SEO there is no hope what so ever and I might as well cut my losses and give up now. It’s so effective way to improve SEO performance. I really loved you writing and will follow your suggestions for my blog.